I was reading The Paleo Solution by Robb Wolf and he mentioned this thing called “CrossFit”. Having been a long-time runner, I had hardly done any weight training in the past. I was ready to try something different and wanted to improve my strength. There was no way I could have known how much I would fall in love with it! From my very first workout, I was addicted. It has really changed my life for the better. I love the community. Not only is the gym practically always open, but everyone is friendly and welcoming. Also, can’t ignore the quality of the programming! I really love providing people with the tools and support to achieve optimal health & performance. There is no better feeling than when clients share that they have made positive changes which are moving them towards their goals. SLSC is much more than just a place to work out. The principles of CrossFit – good form, community, challenging yourself to try but knowing when to scale, finding inner strength – spill over into the rest of your life in a very positive way. The coaches are knowledgable and kind, and are experts at individualizing movements to ensure you have a safe, quality workout. I am obviously biased because I was addicted to CrossFit the second I tried it but I would still encourage you to give it a shot! Worst case scenario? Don’t like it, move on. Best case scenario? You change your life for the better. Also, SLSC is unique in the services it offers – nutrition, private coaching, FAST classes, ongoing seminars, open gym whenever the gym is open, powerlifting classes, etc. There is something for everyone. 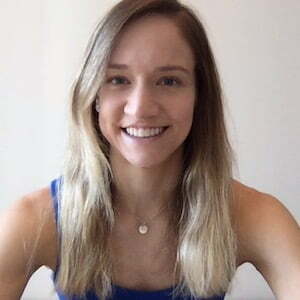 Registered Dietitian Nutritionist – which means I have completed a minimum of a bachelor’s degree in Nutrition Science in an accredited program, completed over 1,200 hours of supervised practice and passed a national certification examination.